When Jack and Annie got back from their adventure in Magic Tree House #22: Revolutionary War on Wednesday, they had lots of questions. What was it like to live in colonial times? Why did the stamp Act make the colonists so angry? Who were the Minutemen? What happened at the Boston Tea Party? Find out the answers to these questions and more as Jack and Annie track the facts. 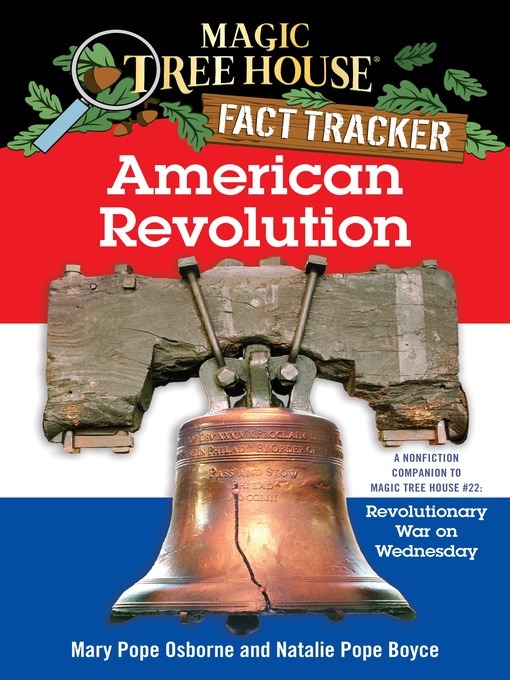 Filled with up-to-date information, photos, illustrations, and fun tidbits from Jack and Annie, the Magic Tree House Fact Trackers are the perfect way for kids to find out more about the topics they discovered in their favorite Magic Tree House adventures. And teachers can use Fact Trackers alongside their Magic Tree House fiction companions to meet common core text pairing needs.